"Toxins produced by red tide events can alter shark brains, resulting in "hyperexcitability" and even death, according to a new study that will appear in the September issue of the journal Aquatic Toxicology. The study is the first to document how brevetoxins, which are brain-changing compounds synthesized by some harmful algal blooms, affect a free-ranging marine species. In this case, researchers focused on lemon sharks, but they believe many other types of sharks could fall victim to the toxins. 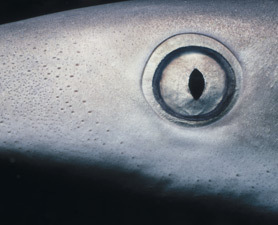 "Sharks are exposed via consumption of brevetoxin-contaminated water and food, such as shellfish," co-author Niladri Basu explained to Discovery News, mentioning that the toxins can easily cross the shark's blood-brain barrier that otherwise protects the brain. "Once inside the brain, brevetoxins bind very strongly to a protein that controls sodium flow," added Basu, an assistant professor of environmental health sciences at the University of Michigan School of Public Health. "By disrupting sodium flow in the brain, nerve cells will over-fire and cause hyperexcitability and ultimately result in death." Humans may be at least partially to blame. Basu said that "agricultural run-off can influence the formation and growth of blooms," which is when certain sea algae rapidly increase in number. 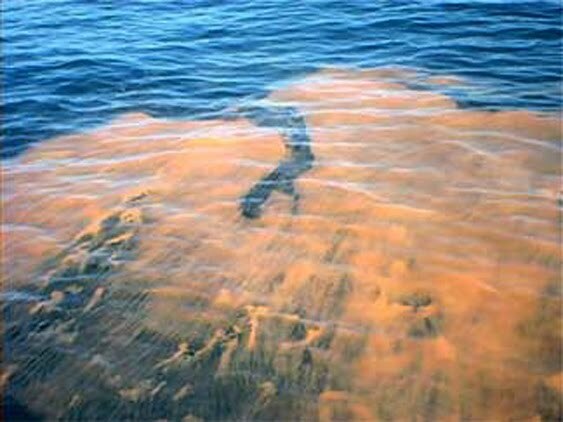 Since the blooms can make water turn red, these events are sometimes known as "red tides."